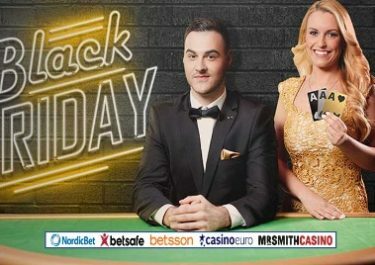 Betsson – Daily Casino Offer! Collect a daily World Cup reward! The special World Cup promotions keep coming, and they keep getting better. 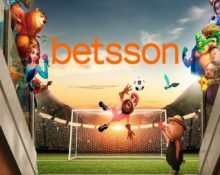 As expected, Betsson aims to stand out of the crowd just like with their popular Christmas Calendars. No different with their WC rewards. Players can simply log-in every day until the end of the World Cup tournament and complete a mission on the slots to enjoy an instant surprise reward. Exclusive for players from Finland, Norway and Sweden. Spike your 2018 FIFA World Cup days with some awesome wager reward and surprises at Betsson. Log-in daily to complete a mission on selected slots to instantly receive your reward with Free Spins, Bonus Money or even pure cash. Rinse and repeat every day until the end of the World Cup in Russia. OPT-IN on the promotion page is imperative to qualify for the daily rewards. Cash rewards have no wagering requirements. Free Spins need to be used within three days and winnings wagered 25x within three days. Bonus Money rewards and prizes need to be wagered 10x within five days. Betsson bonus terms and conditions apply. Wager min. €50 on any slot in the casino to instantly receive a surprise amount of Free Spins on Starburst™. Opt-in on the promotion page to receive 1 Free Spin on Mega Fortune™, no deposit needed. The TOP10 players scoring the highest win from the single spin will be rewarded with bonus prizes ranging from €50 – €1,000, credited by 18:00 CET on Monday. Deposit minimum €20 in a single amount to receive 1 minute of Free Spins on Laser Fruit, credited by 18:00 CET on Tuesday. The minute will start after loading the game and spinning the first time. Play Golden Ticket at any bet size and hit the Bonus round one time to receive a surprise amount of Free Spins on Gemix, credited by 18:00 CET on Wednesday. Play with cash bets on Valley of Gods at any bet size and score the highest coin win in a single spin. The TOP100 players will win cash prizes ranging from €25 – €250, credited by 18:00 CET on Thursday. Wager in this order €50 | €50 | €100 on Gold King | Hugo Goal | Super Flip to instantly receive 25 | 25 | 50 Free Spins on Hugo Goal | Super Flip | Gold King. To qualify for the rewards, the wagering must be completed consecutively on each game as indicated. Deposit minimum €20 in a single amount to instantly receive 10 | 10 Free Spins on Lost Relics™ | Gem Drop.